Help Fantail find Takahe in this look-and-find story about a rare New Zealand bird once thought extinct, but miraculously rediscovered.Fantail is looking for Takahe but where can he be?Is he playing with Weka in the snow, or maybe dancing with Kakapo in the glow of the moon?Perhaps he is splashing through puddles with long-legged Pukeko?Look VERY carefully at all the illustrations - could Takahe have been here all along?From award-winning author and illustrator Helen Taylor comes this exquisite look-and-find story inspired by the incredible true history of New Zealand's flightless and indigo-feathered takahe. Once thought to be extinct, it was rediscovered in 1948 in the Murchison Mountains of Fiordland - the takahe showing just how good at hiding it is!This durable board book format is perfect for little hands and reading aloud together. Helen Taylor is an award-winning children's book illustrator and an exhibiting artist with works in private collections around New Zealand and overseas. She has been illustrating books since 1992 and has been twice shortlisted for the LIANZA Children's Book Awards. In 2006, Helen won Best Picture Book in the New Zealand Post Book Awards for Children and Young Adults, with A Booming in the Night, a collaboration with writer Ben Brown. 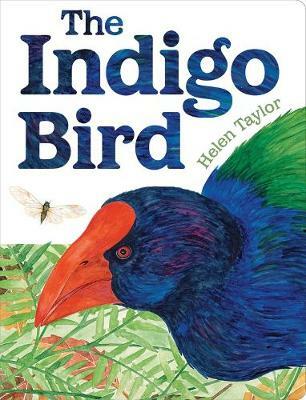 Helen has also written and illustrated a number of picture books and in 2015 her book Kakapo Dance won a Storylines Notable Picture Book Award. Helen lives in an old yellow house on a red-boned hill in the portside town of Lyttelton.